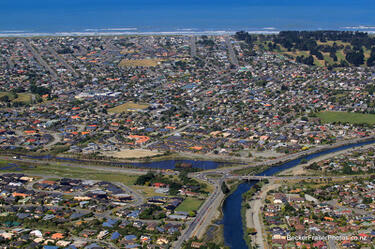 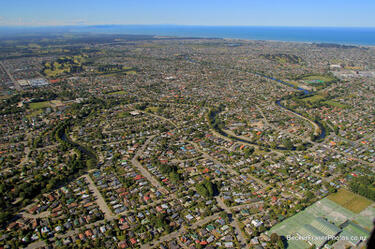 An aerial photograph of New Brighton. 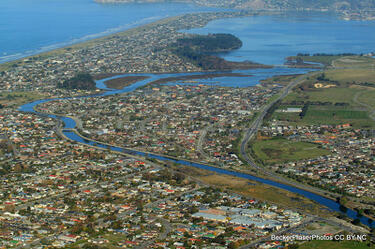 The photograph has been captioned by BeckerFraserPhotos, "Anzac Drive Bridge over the River Avon. 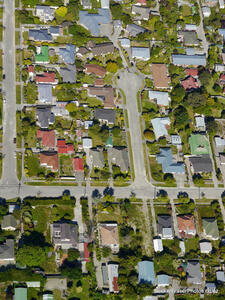 The houses in the bottom half of this photograph are residential red zoned". 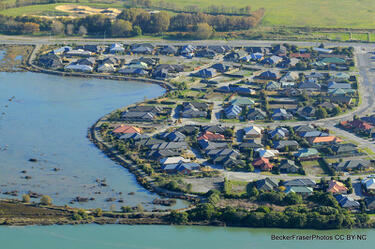 Photograph captioned by BeckerFraserPhotos, "Bexley". 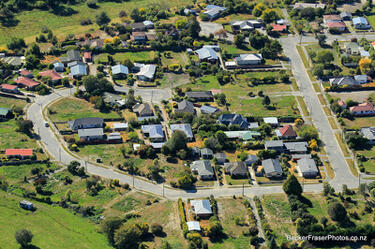 An aerial photograph of a residential area in Dallington. 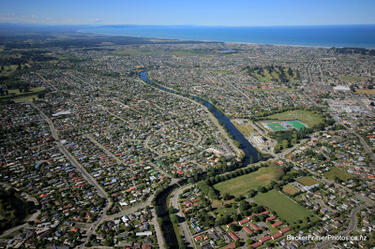 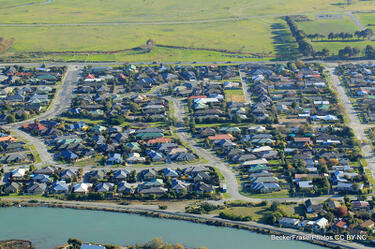 Photograph captioned by BeckerFraserPhotos, "An aerial photograph with Kerrs Reach in the middle of the picture". 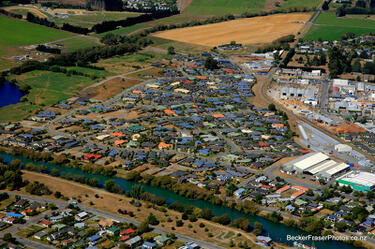 An aerial photograph captioned by BeckerFraserPhotos, "An area within the loop of the Avon River which is all red zoned now. 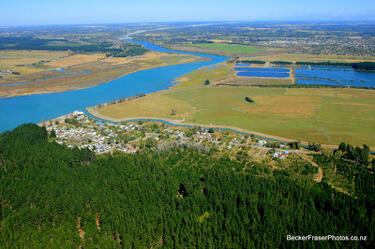 There is some land near River Road on the other side of the river which is also red". 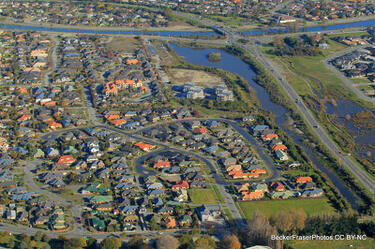 Photograph captioned by BeckerFraserPhotos, "The south end of Bexley showing where 20 houses have been demolished". 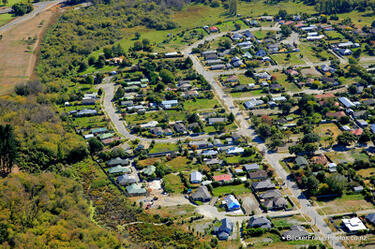 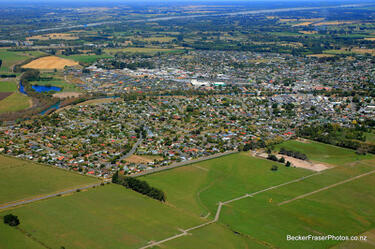 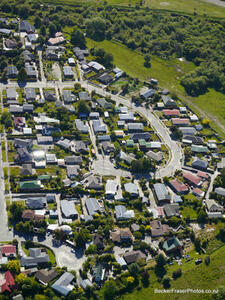 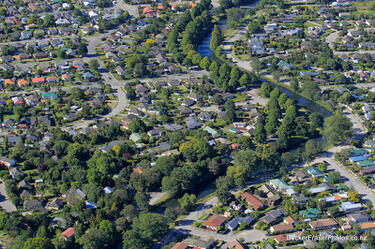 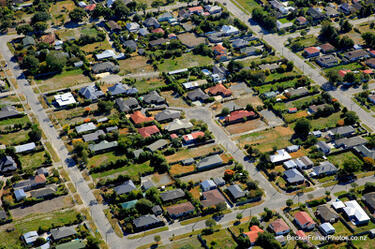 An aerial photograph of a residential area in Avonside. 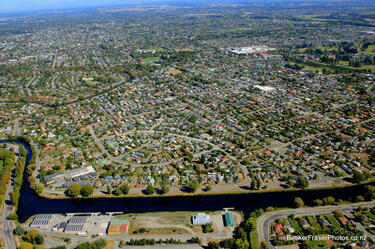 The photograph has been captioned by BeckerFraserPhotos, "Sullivan Park, Avonside. 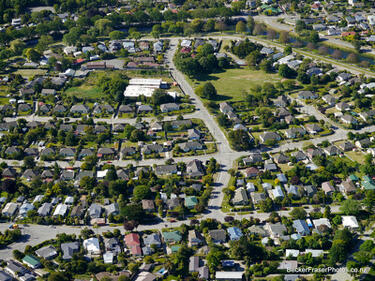 All of this is residential red zoned except for a tiny piece in the top right hand corner". 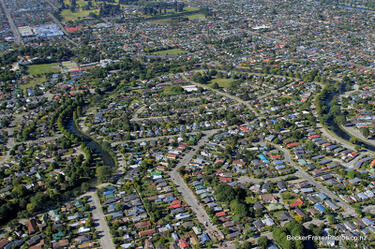 An aerial photograph of a residential area in Richmond. 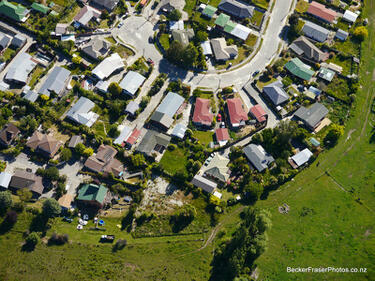 The photograph has been captioned by BeckerFraserPhotos, "This picture is roughly divided in half, with the right-hand side of the picture zoned red and the left-hand side zoned green".